Anyway 40 Bn or so that could be left after bankrecap. is nowhere near enough to start a credible secundary market buying scheme. Especially as the amount would be known and is clearly too low for that. At the moment people are not selling because they probably have to account for losses if they did. When a secundary buying programm has to be started /is started another 'decisionmakingmoment' will arrive: take small losses now or run the cjance on huge losses later? Interesting interview/article in Handellsblat, with Herzog. 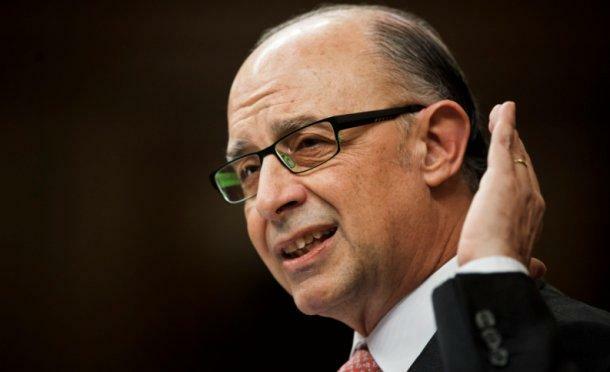 He points to the fact that ECB printing or similar operations are according to him unconstitutional in Germany. While transferring 's tasks to the ECB it was done under the condition that it was basically with as main task maintaning pricestability. Mass printing or QE or acting as a bank for the ESM (basically all printing press operations) all inflate away the problem (if not already transfer it to the German taxpayer, which is a constitutional problem for another reason). I understood that the BuBa could demand the tasks back from the ECB in such case. Anyway this will likely start to play via the Constitutional Court if substantial printing press operations would be close. Effectively imho most likely killing them off like we have seen with Eurobonds as a referendum in Germany simply cannot be risked. Probably interesting for you to have a look at as it makes half the (often unrealistic) rescuescenarios completely unrealistic and next to the UK's position the EZ crisis is likely the main issue in the EU at the moment. Listen to the markets. 7.5% yield on Spanish bonds..